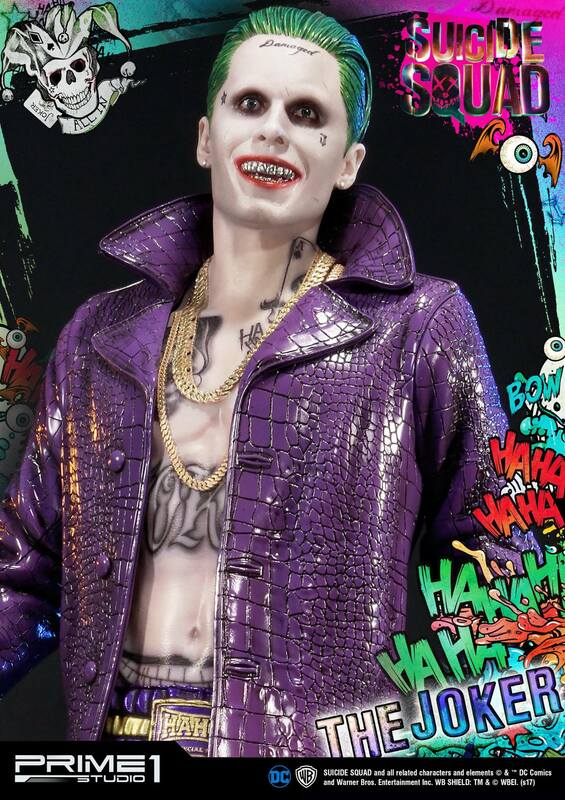 Whether Jared Leto continues on as The Joker or not, his performance as the Clown Prince of Crime will forever be remembered thanks to the Suicide Squad movie. 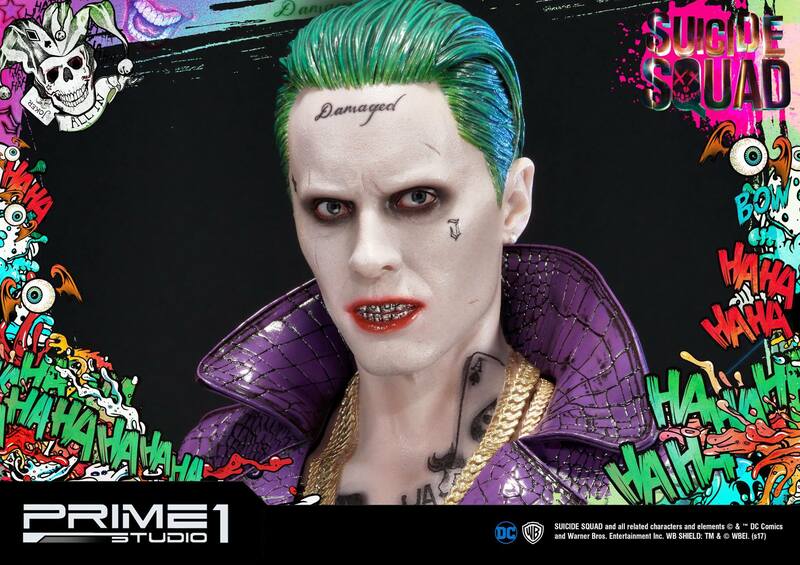 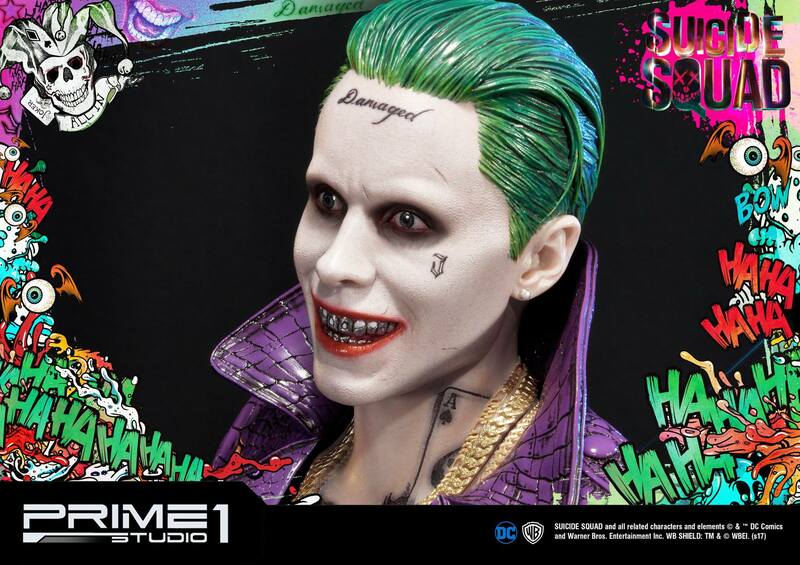 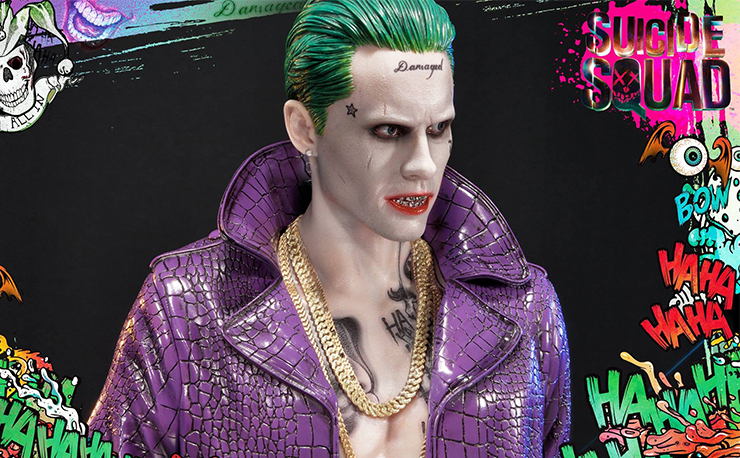 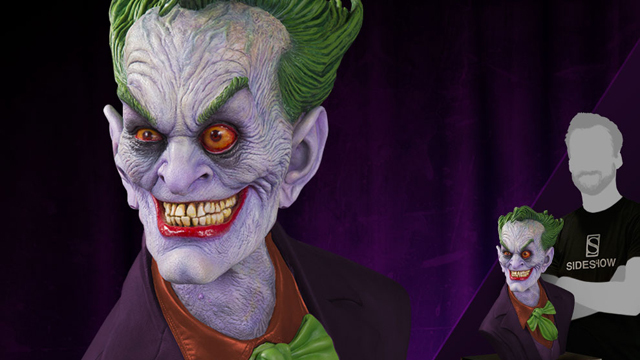 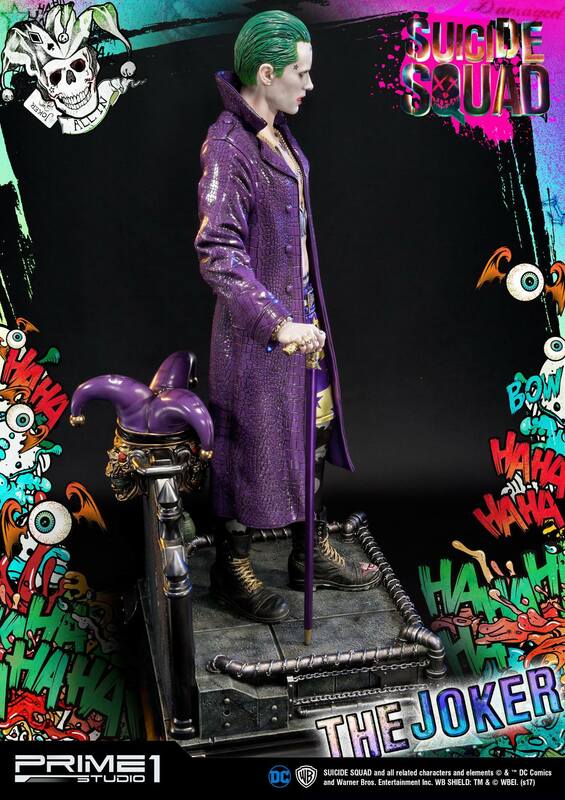 Now Prime 1 Studio has added him to their already growing series of Suicide Squad statues with this ultra-detailed Joker statue. 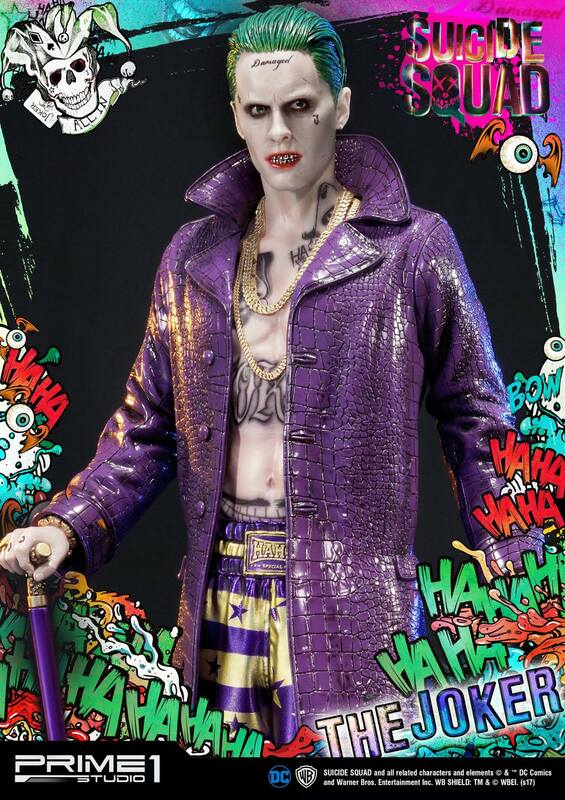 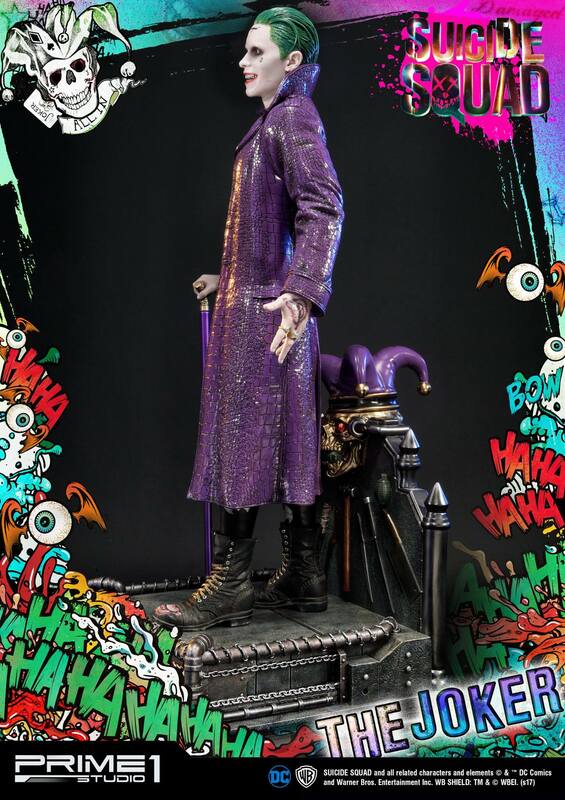 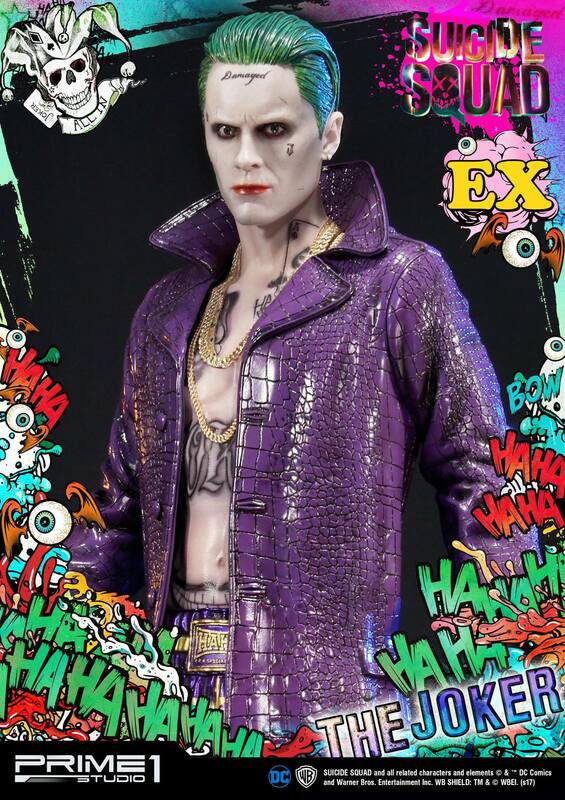 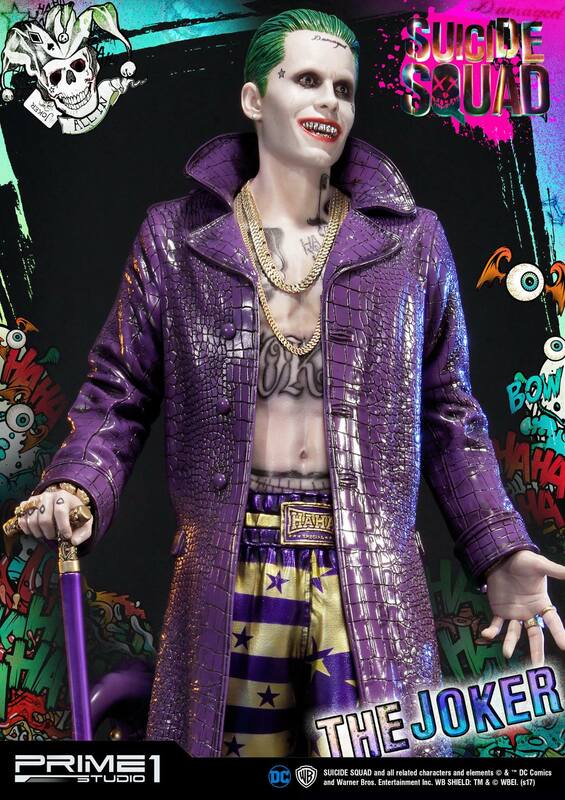 Standing at 29” tall and fully decked out in his modernized Suicide Squad look, this statue of Batman’s greatest foe features Jared Leto’s likeness in full-on Joker paint and features his trademark cane, purple leather coat and tons of gold chains all while standing atop a special throne made just for him. 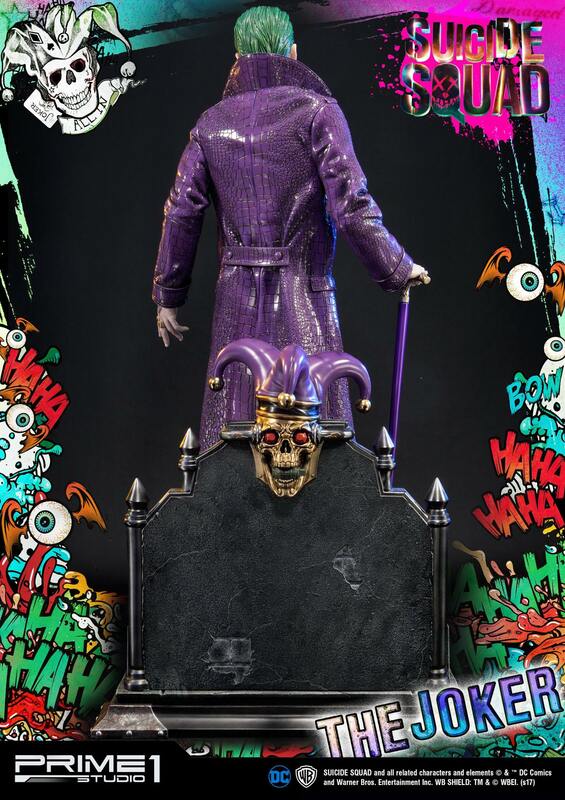 This statue also comes with two alternate portraits and an extra portrait for anyone that orders an Exclusive version. 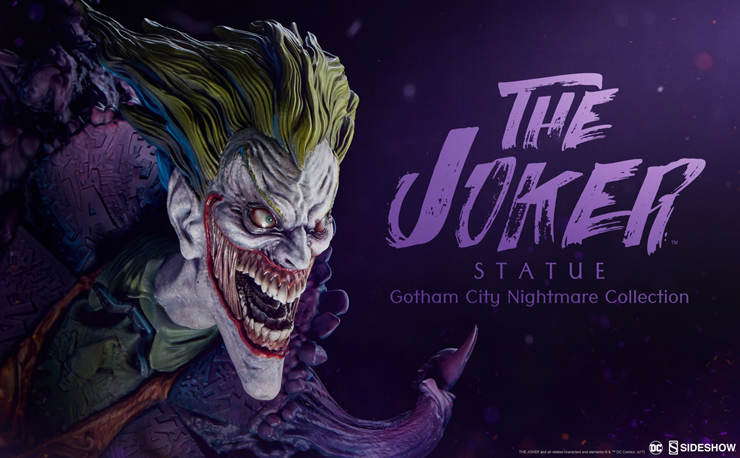 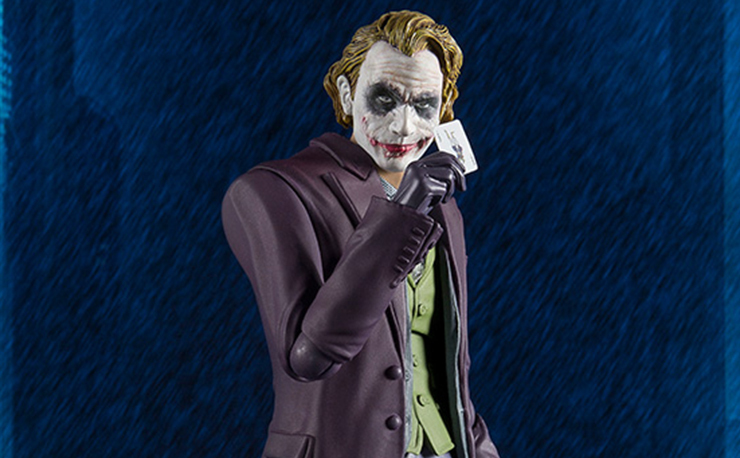 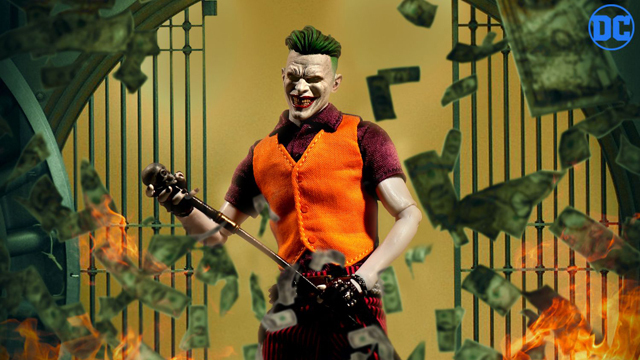 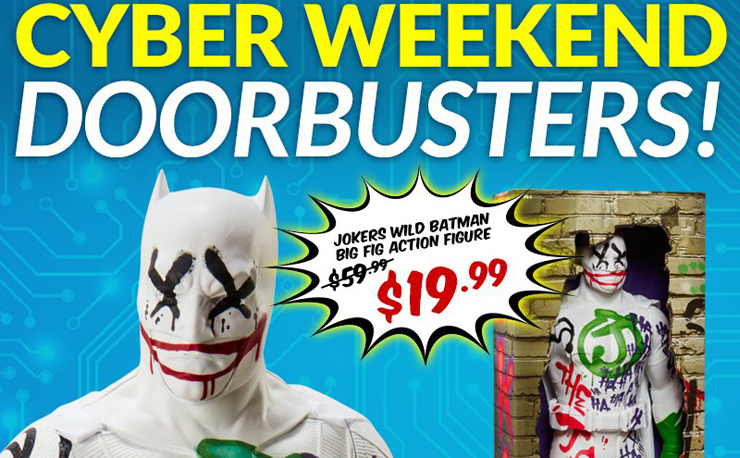 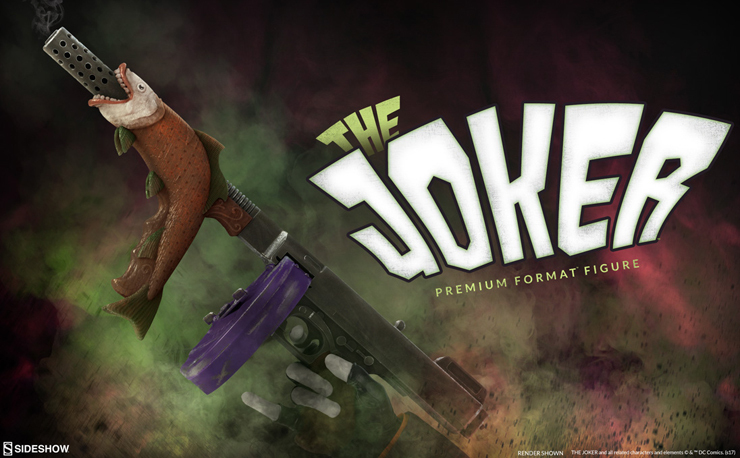 There are only 1000 of the regular version and 750 of the Exclusive, so pre-order The Joker statue now at Sideshow.com and secure one for your Suicide Squad collection.